Exhibiting modern charm in a historic area, Stonewood combines stunning architectural elements with lavish landscaping for incomparable curb appeal. 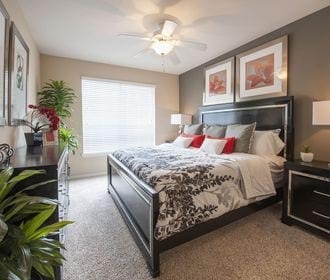 Situated in the eclectic Houston Heights neighborhood, this community sits close to many city highlights yet remains tucked away in a peaceful residential district, delivering the ultimate experience in apartment living. At Stonewood, expansive common areas and luxe finishes come together to create homes that feel like sanctuaries, perfect for decompressing after a long day. Stainless steel appliances gleam beside custom cabinetry in the designer kitchens, and sandstone-colored, travertine backsplashes complete the sophisticated aesthetic. Select models boast additional luxuries, such as garden tubs, computer desks and large balconies. Outside, Stonewood offers amenities to enhance any day. 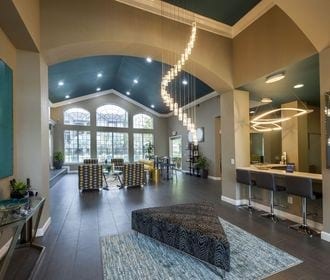 Jump start your morning at the coffee bar, get active in the 24-hour hour fitness center, work productively in the business center or treat your pets to some time in the on-site dog park. 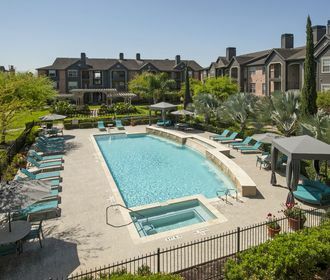 Explore the best dining, shopping and entertainment attractions in Houston, TX when you live at Stonewood, conveniently located near downtown and the flourishing Washington Avenue area. Call or email today to learn more about homes available for rent.